Quite an olfactory wave consisting of lots of tiny goings on. You get fleeting glimpses of pollen and nectar, flints, dirty muddy sand, light smoke, dried sap (ooh a lot), salty rocks, spring-cleaned warehouses, some sort of woody herb flakes like rosemary but not quite, all held together by a thick and tightly oily body. Lots of yellow overtones too, dried yellow flower and hay. However…. the palate is a disaster. Getting musty half dried flowers, stale vase water, standing rainwater with lots of earth and sand mixed in… it’s just bad. Amazing. I smell fruit, the deep ambrosial and tropical sort. Light smoke and a deep phenolic earthiness. Hints of bung cloth, indistinct minerals, something coastal and also streaks of a thin but firm savoury green like lovage or majoram. Magnificent Springbank. Dried out resins and a store of perfume woods. The feat is repeated on the palate with such depth and richness, both of the fruit and also the phenolics: earth and charcoal, wispy smoke, lots of little notes and it’s all there, plus an astringent and herby green foil for balance.. Great grip and composition with an oily and salty and undoubtedly martime core. 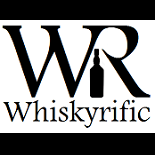 This entry was posted on November 26, 2018 by Whiskyrific in Springbank and tagged Springbank.